ATI Compound, El Salvador--- The year 2016 saw the production and publication of a collection of success stories of the center’s farmer partners and Learning Site partners alike. When the first maiden issue of Bahandi was out and in circulation, it was well received and requests of more copies came by and the center through the Information Services Section (ISS) took efforts in printing another batch of copies. Bahandi, the Sunrise Edition was then followed by book two which is Bahandi Northwind Edition. The intention was clear, the coffee table book of success stories wanted to showcase and highlight the success of the farmers, present failure as is and at the same time leaving readers with profound life lessons and truth such as the value of hardwork, tenacity, fortitude and the enduring and universal appeal of the family. This year, the center takes another challenge in creating and producing corporate communication materials aptly titled Gastronomica for clients and partner organizations to glean from like invaluable information, pointers and farming tips alike. Gastronomica is a celebration of good food, delicacies and Learning Site (LS) products of Region X. This time around, the upcoming coffee table book will showcase its farmer partners, not only for their success, but the food they produce which makes our meals and our eating experience all the more enjoyable. The foodie project is equal parts cookbook, collection of food writing and farm product/processed goods catalog showcasing appetite-inducing, highly nutritious and certainly palatable organic food fare prepared and carefully processed by our Learning Site (LS) partners while highlighting the local delicacies they are known for. 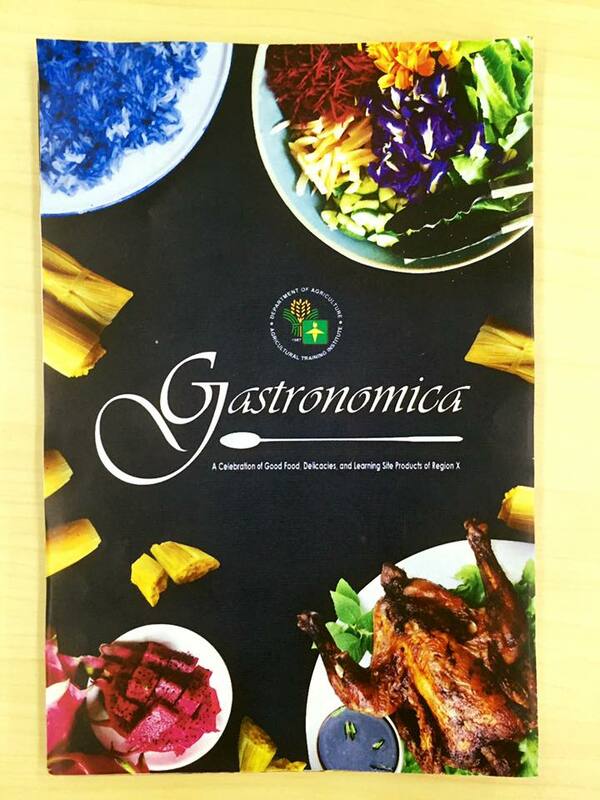 Gastronomica cover design and layout provided by resident artisan Jeric L. Cabatac.